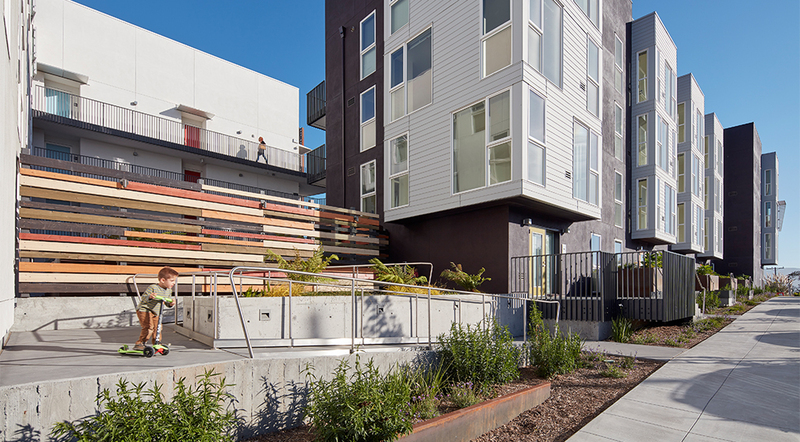 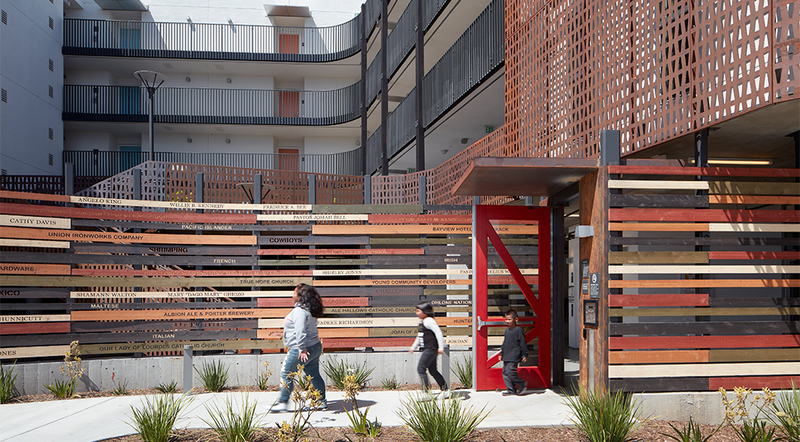 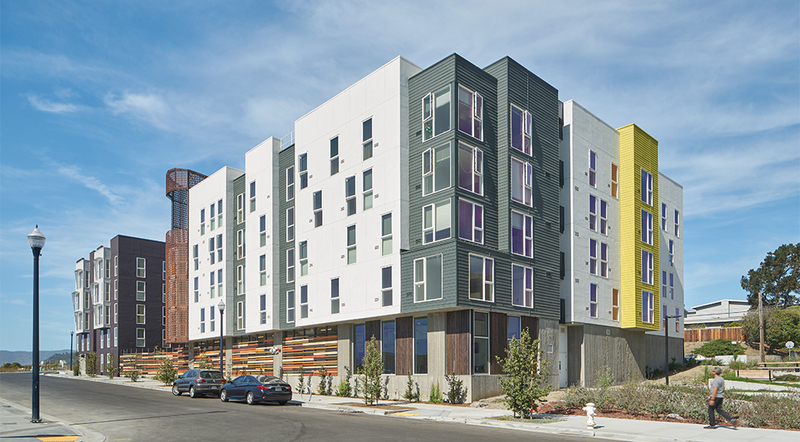 AMCAL completed affordable family apartments on Block 49 in the 638-acre Hunters Point Shipyard redevelopment (largest redevelopment in the city’s history) in southeast San Francisco in August 2016. 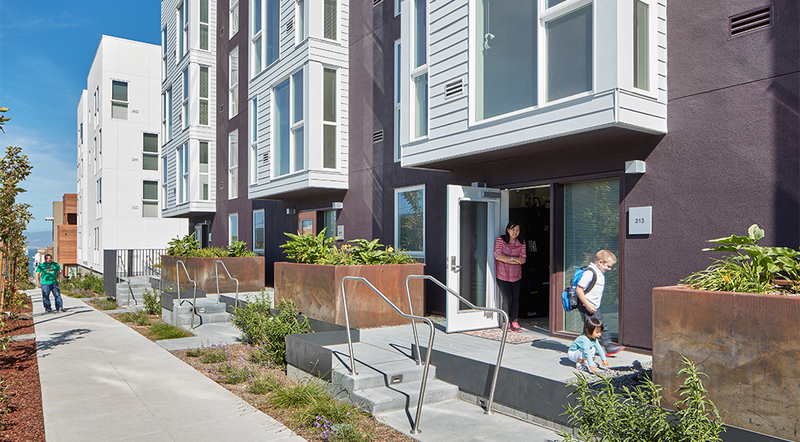 Pacific Pointe was the first affordable housing community in the master plan, and helped fulfill the inclusionary obligation for FivePoint’s (formerly Lennar Urban) first phase of development. 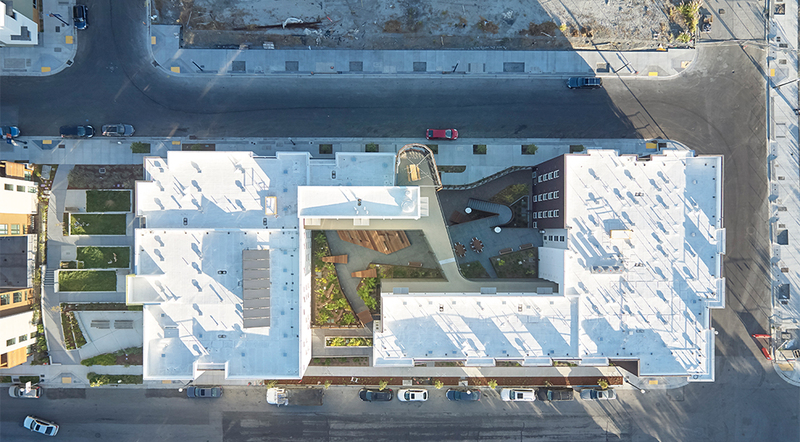 The 0.5-ac. 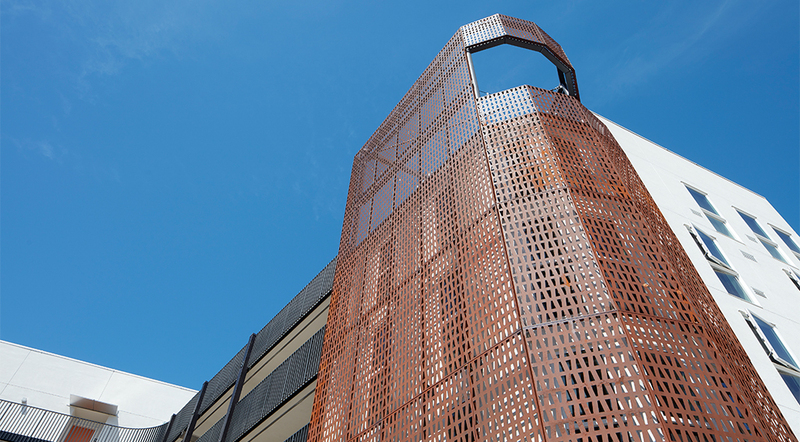 site includes 60 family apartments (118 dua), with a contemporary exterior, two courtyards and a gateway “lantern” corner tower. 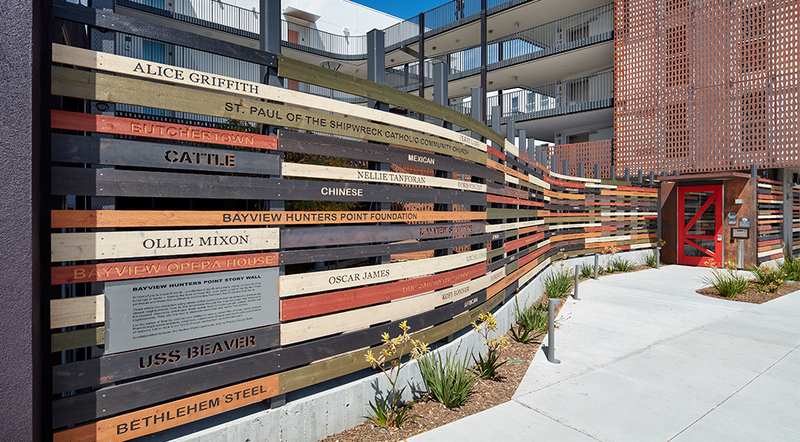 The 5-level podium structure features two four-story buildings standing atop a one-story ground-level garage providing 45 parking spaces and 44 bike spaces. 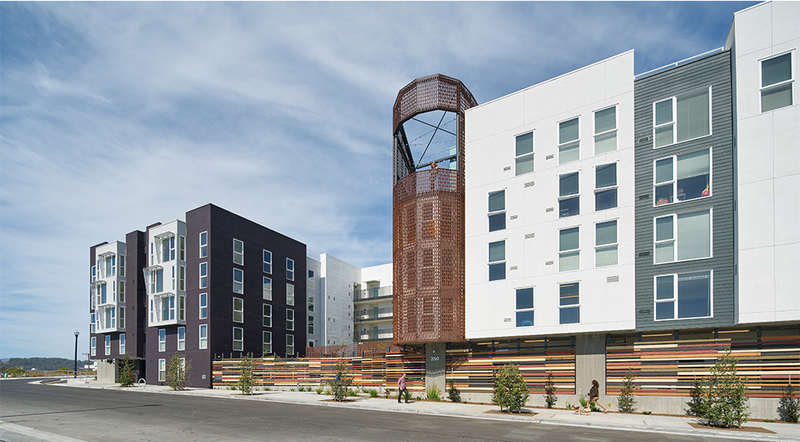 The development features one-, two- and three-bedroom apartments. 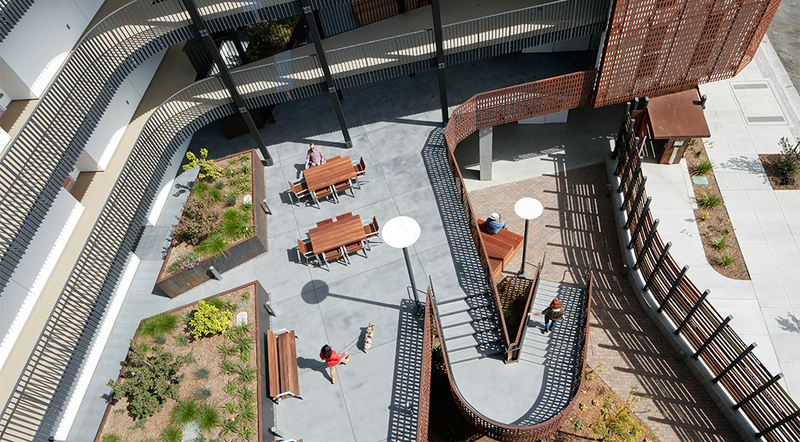 The array of on-site amenities includes four community rooms (including a community room with a computer lab) and lounges, laundry facilities, common-space kitchen, barbecue areas, and children’s playground and secured parking. 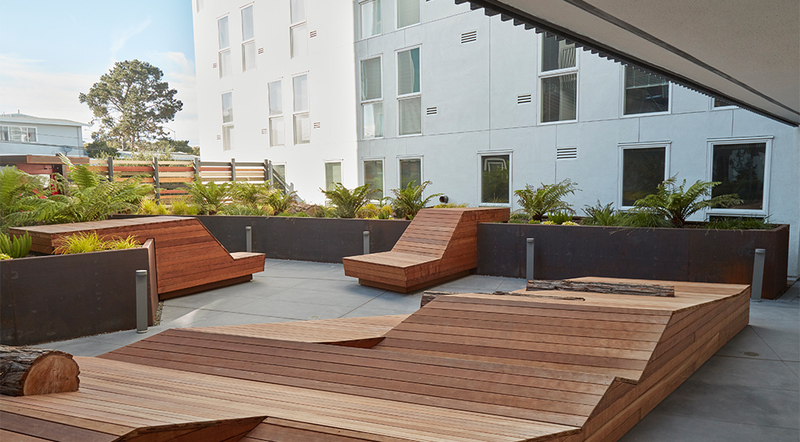 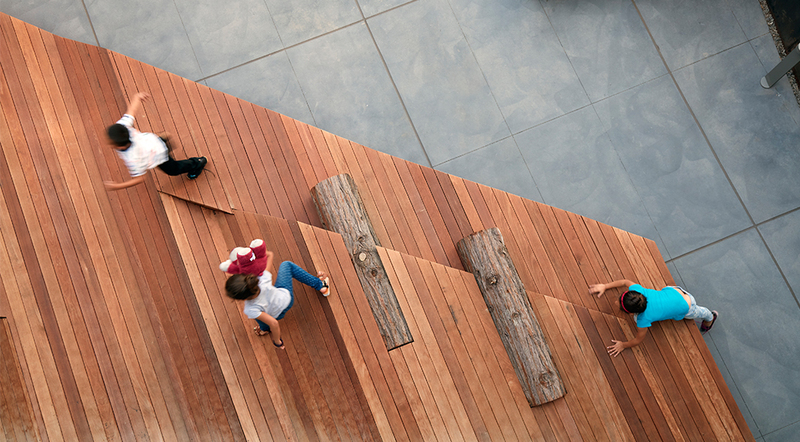 Outdoor public spaces include a rooftop open-air and landscaped courtyards. 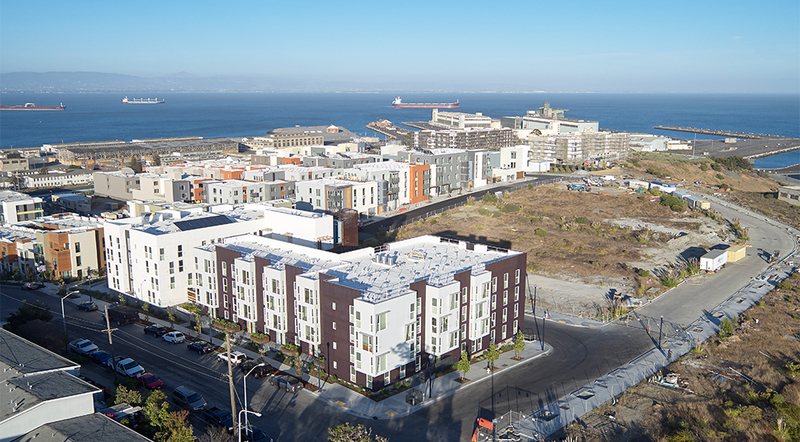 The site is located near many amenities, including Third Street light-rail line, Muni bus line, a bicycle route, Indi Basin Shoreline Park and Hilltop Park, Hunters Point #2 School., and the city’s Southeast Health Center. 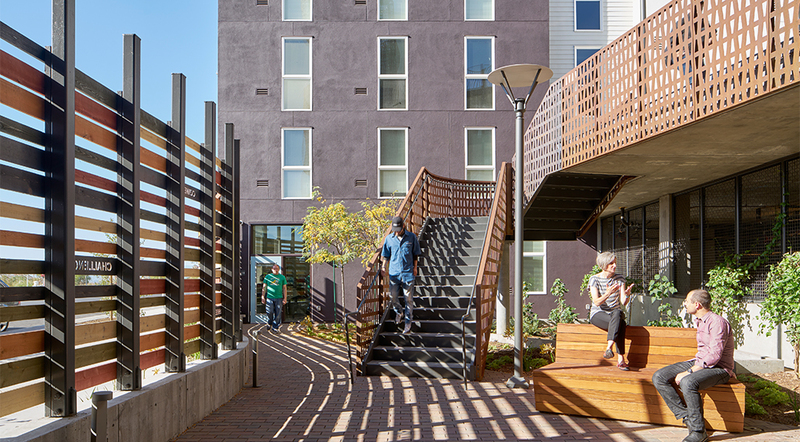 The community also includes a green tech hub, office, retail and a theater to provide jobs for residents, and 326 acres of parks and open space. 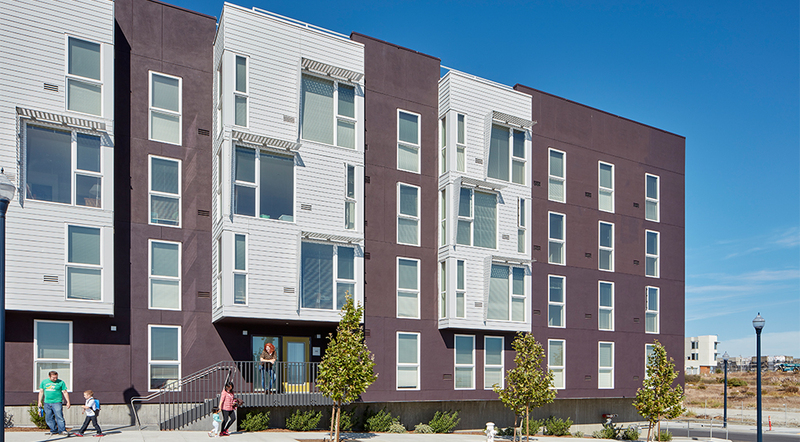 100% affordable: 60 units – 50% AMI.